Is Teacher Tenure Still Necessary? 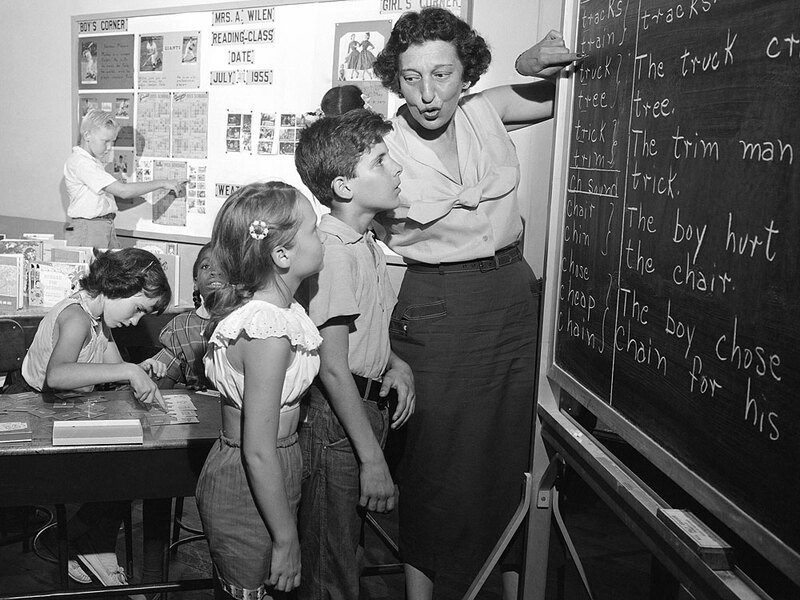 Tenure has protected teachers against arbitrary dismissal for nearly a century. But some policymakers believe that it provides too much protection, making it difficult to get rid of ineffective teachers. The debate over whether it's time to do away with tenure is playing out in several states. Is Teacher Tenure Still Necessary? Critics say that providing tenure for teachers is an outdated idea. Tenure is under attack. The century-old system of protecting experienced teachers from arbitrary dismissal -- long viewed as sacred -- has triggered hot political debates in several states. "Teacher effectiveness" has emerged as the biggest buzz phrase in education policy circles. Because teachers have such potential for affecting the quality of children's education, some people are starting to argue that it must become easier to get bad teachers out of the classroom. "There seems to be a lot of drive to do away with tenure," says Sandy Kress, who helped write federal and state education laws as an adviser to George W. Bush and other policymakers. "Tenure has proved to be just a horrible barrier to getting rid of that small percentage of teachers who are just not effective." This is not merely an academic debate. A bill in Colorado that would change tenure rules and tie them to student performance passed out of a Senate committee last week and has the support of Democratic Gov. Bill Ritter. A Florida bill to abolish tenure was vetoed this month by Republican Gov. Charlie Crist, but a similar bill is pending in Louisiana. Firing teachers is hard. New York, Chicago and Los Angeles have each fired fewer than 1 out of 1,000 of their tenured teachers in recent years. Those numbers are not unusual. Administrators complain that the process is too draining. Reviews of dismissal cases can take years to make their way through the system, costing tens of thousands of dollars each. Teachers say that administrators are themselves at fault for performing perfunctory, "drive-by" evaluations. One study of selected districts in four states found that 99 percent of teachers receive "satisfactory" ratings. Sometimes, bad publicity can curb the worst abuses on either side. The Los Angeles Times found last December that L.A. schools deny tenure to fewer than 2 percent of probationary hires, with evaluations often amounting to nothing more than a single, pre-announced classroom visit lasting 30 minutes or less. Following the report, Superintendent Ramon C. Cortines pledged greater scrutiny. In February, the district announced it would fire more than 110 nontenured teachers for performance -— three times the annual rate in recent years. Earlier this month, New York City Mayor Michael Bloomberg and the United Federation of Teachers announced the city would close the district's "rubber rooms," where teachers are paid to sit and do no work, often for years, while awaiting the outcome of dismissal hearings. Newspaper and magazine articles about the rubber rooms — which Bloomberg labeled "study hall for teachers" — had embarrassed both the city and the union. Now, teachers will be assigned to administrative or nonclassroom duties while cases are pending, with the city hiring more arbitrators to speed up the process. Debates about tenure rules are happening at the local level as well, notably in Washington, D.C., where a proposal to eliminate tenure and seniority rules in exchange for higher pay led to protracted arguments over the local teachers' contract. Washington state, meanwhile, along with Maryland and Ohio, has recently lengthened the number of years teachers have to wait before becoming eligible for tenure. Elementary and secondary school teachers can become eligible for tenure after as little as two years on the job, although the time frame varies by state. "What's become so problematic about tenure is that it's awarded almost automatically, without regard to performance in student learning," says Sandi Jacobs, vice president of the National Council on Teacher Quality, which advocates changes to the teaching profession. Unlike tenure for university professors, tenure for K-12 teachers does not, in theory, shield them from dismissal. Instead, it's simply a guarantee of due process -- that if a teacher is fired, it will be for cause. The advent of tenure, which coincided roughly with World War I and the suffragist movement, was meant to protect teachers, who, in olden days, were often fired for reasons that had nothing to do with their work, including race. Teachers were often let go when a new political party came to power locally, or if the principal wanted to hand out jobs to his friends, or even if a teacher got pregnant. "These laws were passed in state after state to protect good teachers from arbitrary actions," says Dennis Van Roekel, president of the National Education Association, which is the country's largest teachers union. "Due process is necessary in order to avoid the type of abuses of the past," he says. "It's very upsetting that in 2010, under the guise of improving schools, we suddenly get rid of protections from firing teachers for inadequate or wrong reasons." Advocates of overhauling tenure say they favor due process. But they point out that tenure predates subsequent labor laws that guard against discrimination or other employer abuses. "So much has changed about our larger legal framework," says Tim Daly, president of The New Teacher Project, which helps place teachers in urban schools. "A law about teacher tenure, by far, is not the only thing that would protect you." This point now is commonly made, but Susan Moore Johnson, who teaches at Harvard's Graduate School of Education, says, "I'm not really convinced there are more protections now. You continue to hear stories about how favoritism is alive and well in public schools." For his part, Daly doesn't advocate the abolition of tenure, but he does believe it needs to be changed. Dismissals should be job related, he says. But the problem he sees is that there are so many legal and managerial hurdles involved in dismissing a teacher that tenure has become a de facto shield against firing even the worst teachers. "Tenure says you can't be dismissed unless you are shown to be incompetent through the evaluation process," Daly says. "But the evaluation process doesn't work at all, so tenure is seen as an ironclad guarantee of a job." That's where policy advocates have spotted an opening. It's clear that the way teachers are evaluated will undergo change. The federal Race to the Top program, a $4 billion pot of money meant to encourage states to pursue innovative educational strategies, insists on tying teacher evaluation to student performance. The ins and outs of how student scores on standardized tests are weighted in evaluating teachers can quickly turn into a topic of interest only to insiders. In contrast, the public can understand and respond to the idea that a lifetime job guarantee has become anachronistic in today's economy. Getting rid of tenure is still going to be a tough sell. Teachers unions are generally considered among the strongest lobbies in most states, and job protection for their members goes to the heart of their mission. Johnson, the Harvard professor, says that unions make convenient targets for blame in such matters, noting that even teachers without tenure are rarely dismissed. She has studied some of the few districts where teachers are regularly let go -- which are those where joint panels set up by unions and administrators sit together in judgment. "Principals will say, 'The reason I don't dismiss anyone is because the union will stand in the way,' " Johnson says. "But where teachers are dismissed, it's through a peer review that guarantees due process."